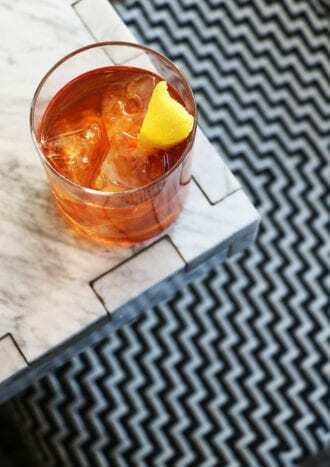 The bittersweet notes of coffee and chocolate liqueurs play off the richness of bourbon and allspice dram in this cocktail from Kindred San Diego. Combine all the ingredients in an Old Fashioned glass, add ice and stir. Garnish. Next articleVodka Collins Riff from Melrose Umbrella Co.